Werewolves exist in Mercy Falls. When it’s cold they take the wolf form, and when the mercury rises, they turn human again. The cycle continues for about fifteen years, after which they never turn back human, and remain wolf for good. Grace was attacked by the werewolves when she was a kid, but never turned, maybe because she caught a high fever soon after being bitten. She was saved from being eaten by a big yellow eyed wolf. Six years later, she discovers that her wolf is a boy called Sam, and this might be his last year as a human. Jack Culpeper is bitten by the wolves and declared dead, but he turns into a wolf, and starts looking for a cure. Olivia and Isabel find out about the werewolves. Jakc bites Olivia and demands that Grace find a cure for both of them. Isabel infects Jack and Sam with bacteria that will induce a fever in them both. Jack dies of the fever, but Sam lives, and returns to Grace. Olivia refuses the cure, and joins the pack as a white wolf with green eyes. When she was small, Grace had been attacked by the wolves, but a yellow eyed wolf saves her. Ever since, she and the wolf are locked in a strange, wary connection, each observing the other, with a shared bond between them. The wolf disappears in summer, and Grace waits for winter to see him again. When Grace is seventeen, Jack Culpeper is killed by the wolves. But soon after, she sees him by the side of the road, just before her runs away. A hunting party sets out to kill the wolves, and Grace goes into the woods to stop them. Once back home, she finds a naked boy at her doorstep. It’s Sam, and he’s her wolf. More specifically, he’s a werewolf. When the cold sets in, he turns wolf, and when it’s warm, he becomes human. Jack is also a werewolf now, and comes close to inhabited areas when in wolf form. The citizens believe the wolves pose a threat, and Mr. Culpeper is determined to finish them off. Olivia, Grace’s friend, and Isabel, Jack’s sister become suspicious about Jack’s death and discover the truth. Beck, Sam’s sort of father returns to Mercy Falls with three youngsters in tow, whom he’s injected with wolf venom. Beck claims it is to provide cover for the pack, because once they’ve spent about fifteen years as a werewolf, they dont change back one winter, and stay a wolf till they die. Sam’s time has accelerated, though, and Beck reckons this is his last year. Jack corners Grace, and demands a cure for the wolf venom, since Grace was bitten but never turned. He bites Olivia in the hope that Grace will give up the cure for her sake. All Grace can tell him is that soon after, she was very sick with high fever, so the fever probably nullified the effect of the venom. She leads him to Beck, who traps Jack in the house. Grace & Sam meet with an accident. Exposed to the elements, Sam turns. Isabel brings three vials of bacteria to induce meningitis, which will in turn induce a high fever, which will probably cure Sam, Jack and Olivia. Olivia turns down the cure, because of the high risk factor involved. Grace coaxes Sam into his human form to stab him with the bacteria, after which, he immediately turns and runs away. Jack is also infected. Olivia turns into a white wolf, and disappears into the woods. Although Isabel cares for Jack through his sickness, he succumbs to the fever and dies. Grace & Isabel fear the worst, thinking Sam is dead too, as he doesn’t return, weeks after being infected. Several days later, Grace sees Sam walking out of the woods behind her house. 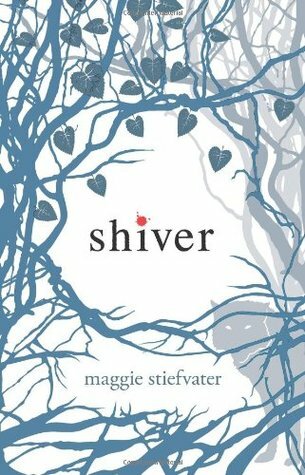 Shiver is a perfectly executed book, and I continue to be impressed with Maggie Stiefvater’s writing.